Oregon Natural Desert Association’s strategic and effective enforcement of environmental laws has played a critical role in safeguarding Oregon’s desert public lands. We hold federal land management agencies accountable, ensuring that Oregon’s arid lands and waterways receive the protection they deserve. Since 2001, we have won or successfully settled more than 85 percent of our federal actions, protecting millions of acres of public land throughout Oregon as a result. Visit our Accomplishments page to learn more about ONDA’s significant legal achievements over the years. 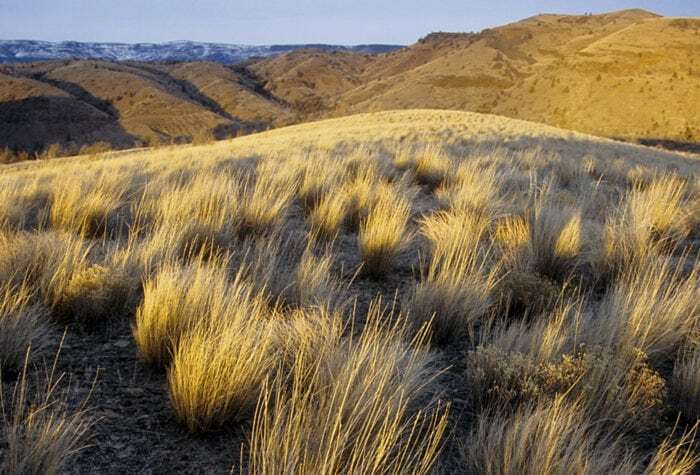 More than 350 species of plants and animals inhabit Oregon’s high desert, many more than most people realize. Unfortunately, some of the wildlife native to this region is facing serious threats to survival due to habitat loss caused by a variety of factors, including poorly managed livestock grazing, invasive species, wildfire, and inappropriately sited energy development. ONDA protects critical habitat, wildlife corridors, and ecosystems to give all species the best chance for survival. We operate under the principle that it does no good to protect a species if that species has nowhere safe to live, and we advocate for the highest level of protection possible for wild lands and waters. ONDA supports responsible renewable energy that is planned smart from the start. For Oregon, this means guiding projects to low-conflict zones–areas with high potential solar, wind, or geothermal resources that do not contain critical wildlife habitat, wilderness-quality lands, or sensitive cultural resources. We encourage policymakers to advance renewable energy policies that incentivize smart and responsible development. Our report provides an overview of the policies, technologies, and issues related to Oregon’s ever-growing energy resource. It contains savvy insights, recommendations for a more efficient and responsible energy future, and useful information on siting, technologies, opportunities, and challenges. While ONDA supports renewable energy, we believe some places are not appropriate for any kind of large-scale development. We opposed the “Steens Wind” project associated with the North Steens Transmission Line proposed by Columbia Energy Developers due to its negative impacts on a congressionally protected area which is home to high priority Greater sage-grouse habitat and part of an important area for raptors.